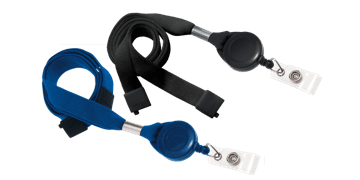 Our lanyards with badge reels are perfect for access control cards and offer a safety breakaway feature to eliminate the risk of choking. Have the convenience of a lanyard and the functionality of a badge reel all in one product! Browse our lanyards featuring a retractable reel.